Karen J. Pittman, president and CEO of Forum for Youth Investment, has made a career of launching organizations and initiatives that promote youth development—including the Forum for Youth Investment, which she co-founded with Merita Irby in 1998. 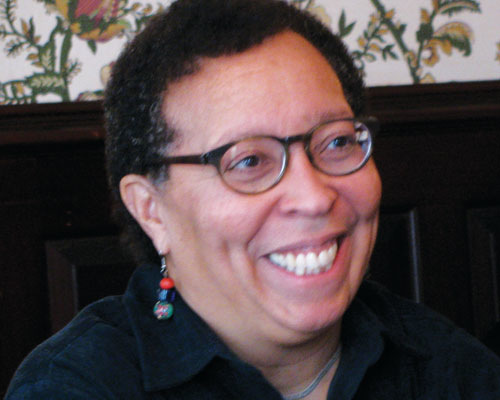 A sociologist and recognized leader in youth development, Pittman started her career at the Urban Institute, conducting numerous studies on social services for children and families. She later moved to the Children's Defense Fund, starting its adolescent pregnancy prevention initiatives and helping create its adolescent policy agenda. In 1990 she became a vice president at the Academy for Educational Development, where she founded and directed the Center for Youth Development and Policy Research and its spin-off, the National Training Institute for Community Youth Work. In 1995 Pittman joined the Clinton administration as director of the President's Crime Prevention Council, where she worked with thirteen cabinet secretaries to create a coordinated prevention agenda. From there she moved to the executive team of the International Youth Foundation (IYF), charged with helping the organization strengthen its program content and develop an evaluation strategy. In 1998 she and Rick Little, head of IYF, worked with retired Gen. Colin Powell to create America's Promise. She and Irby then launched the Forum, which later became an entity separate from IYF. Karen has written numerous books and articles on youth issues, and has served on numerous boards and panels, including the Educational Testing Service, the National Center for Children in Poverty, the High/Scope Educational Research Foundation Board, the America's Promise Board of Trustees and YouthBuild USA. I'm extremely proud to have been a part of an amazing group of research and practice thinkers who helped make the case for afterschool, starting with my and Michele Cahill's contributions to A Matter of Time, the seminal report from the Carnegie Council on Adolescent Development. The most important things Forum co-founder Merita Irby and I have done for the field are to promote the importance of program quality standards as a way to codify the "how" of afterschool, and to finance the creation of the Weikart Center for Youth Program Quality which has brought the science of quality improvement into practice. On par with K-12 schools as an integral, complementary part of a new approach to student learning. That approach starts with core definitions of the competencies young people need to succeed in college, work and life, builds on common standards of what good learning environments look like, and rewards students and programs for building competencies, not warming seats. Having established the value of increasing "when" and diversifying "where" learning opportunities should be offered, the industry is positioned to lead education, workforce development, and prevention practitioners to adopt broader definitions of "what" and the "how" young people learn. To do that, we need to differentiate the characteristics and structures of good high school afterschool programs and demonstrate the value of afterschool programs to students who have dropped out or are on the way. I'd say there are three: not getting the "why afterschool?" argument right, not making the case with sufficient precision, and not strengthening delivery standards fast enough to respond to demand. If the vision is complementary integration with school, the afterschool industry has to be seen not only as an expedient solution to expanding where and when youth learn, but as an essential partner in expanding what and how. The former will require redoubled efforts to achieve scale. The latter will require redoubled efforts to measure youth engagement beyond attendance and to demonstrate the acquisition of core readiness skills. Afterschool programs can develop content expertise (e.g., STEM, arts, wellness), but content adoption should not take precedence over a commitment to help youth develop core readiness competencies that accelerate success. Full implementation of a performance culture that empowers staff to create quality environments that engage students to name, build and practice the skills they need to succeed in college, work, and life. Full commitment to working with other programs in their neighborhoods and networks to ensure not only that all participants are successful, but that the students and families who can benefit the most have guaranteed access and are expected participants.